I see you are also taken by these chairs, they are everywhere; wish I had the manufacturing rights. I have shots of them in Venice and Windsor. Someone must have made a mint on these. Very graphic! I can't help thinking about snakes .. Very artistic!Brilliant idea for this b&w picture! 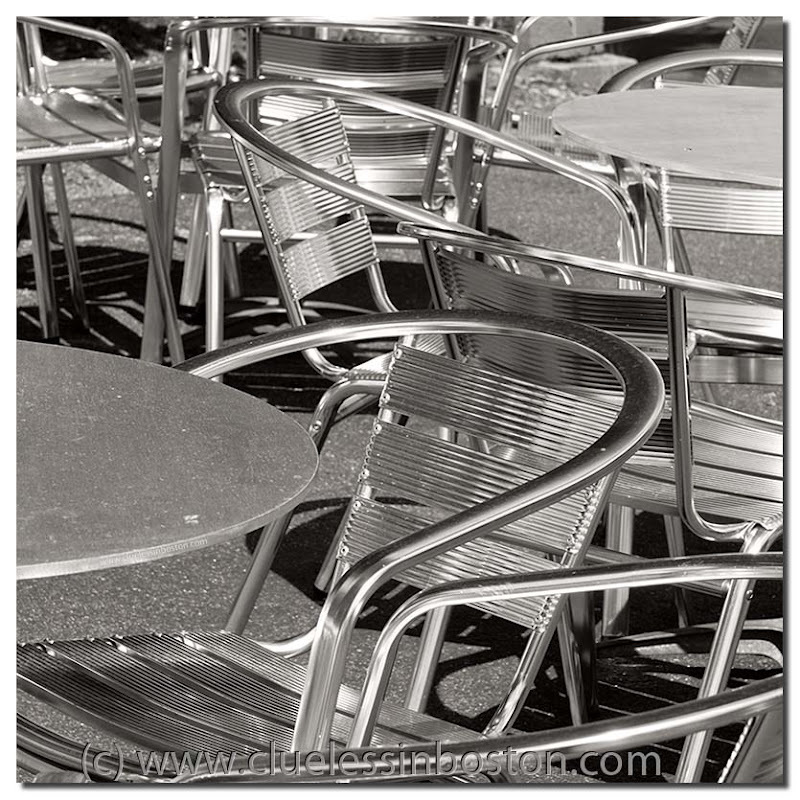 You really know how to take the most everyday items and transform them into a fantastic image, fabulous in B&W.